London office take-up in January 2014 paused for breath after the deals frenzy of late 2013. Just over 600,000 sq ft was let in 33 deals over 5,000 sq ft, compared to a monthly average of over 1m sq ft in 2013. There were still some large deals as law firm Macfarlanes inked-in its much-anticipated pre-let of 48,000 sq ft at 98 Fetter Lane and SEI Investments pre-let of 62,000 sq ft of offices at ‘Alphabeta’ Finsbury Square, EC2. In terms of take-up by sector, the TMT sectors lost their top slot to the recovering financial sector this month, followed closely by professional services. Grade A (recently completed or refurbished space) accounted for 345,000 sq ft of lettings, or over 50% of the month’s deals, illustrating that the construction surge of the last two years is now translating to some high value office relocations. 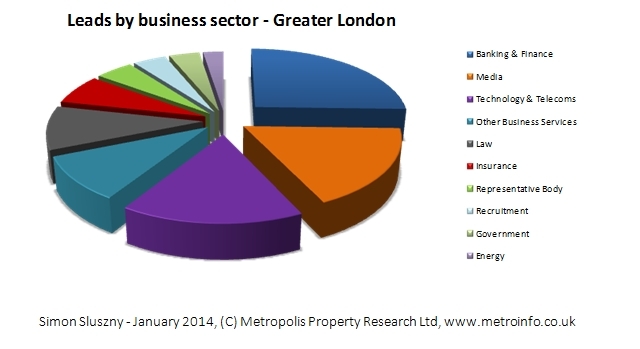 Some 600 London based companies are expected to make relocation decisions in 2014. A full list is available on Metropolis. A recent office market report on Leeds by Lambert Smith Hampton highlighted a surge of letting activity towards the end of 2013. Office take-up for the year reached 250,000 sq ft for the quarter and the total of office deals for 2013 reached nearly 1.3m sq ft. Despite a number of recent high profile transactions in 2013, most of which were tipped in advance by Metropolis, including Leeds City Council pre-letting 50,000 sq ft, Lowell Group taking 80,000 sq ft, HSBC (60,000 sq ft), Squire Sanders (50,000 sq ft), NHS Leadership Academy (22,000 sq ft) and KPMG taking 28,000 sq ft at Broad Gate, some 60% of deals were for lettings of less than 5,000 sq ft. 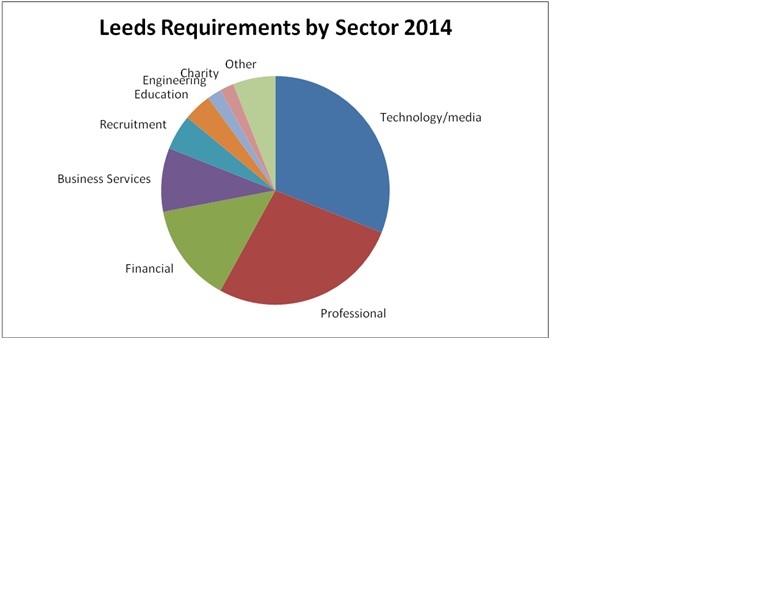 The Metropolis database reveals 40 outstanding office requirements in Leeds including Sky and PWC both looking for 60,000 sq ft each. In total, the forty firms are currently searching for over 500,000 sq ft of office space in the city, with another 30 firms due to make decisions ahead of lease expiries in 2014 and 2015. The availability of grade A office space, newly constructed or refurbished, has fallen to a five year low at 6.6%. Total office availability in Leeds is 10%. 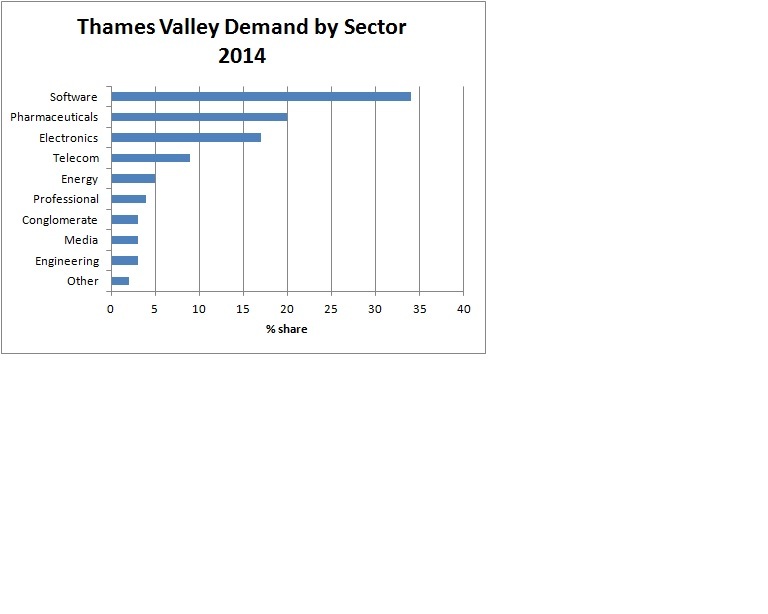 agents are forecasting top office rents of £26 psf in 2014 with £30 psf in 2015. Recent development news includes Town Centre Securities gaining consent for the next 375,000 sq ft phase of its Whitehall Riverside scheme; MEPC’s 35,000 sq ft 10 Wellington Place scheme was recently topped out and a number of medium/large refurbishments such as Minerva and 15 Park Row are planned or underway.